Hey guys, just wanted to let you know that we’re moving the podcast to tomorrow night. This is for many reasons, the least of which is the fact that we really need some sleep. A lot has gone on today and we’re exhausted. I apologize for the change, but we’ll do our best to put it up tomorrow. As always, leave questions here, or in the podcast thread below. This entry was posted on Monday, July 13th, 2009 at 11:15 pm by Peter Freeman and is filed under News. You can follow any responses to this entry through the RSS 2.0 feed. You can leave a response, or trackback from your own site. Sorry guys, I was supposed to post this yesterday but it slipped my mind (so much to do!). But here it is now. The first podcast will be up either tomorrow night or Tuesday (depends on upload times), but feel free to post any question you all might have about Season 2, Season 1, filming, ColdShoulder, or something random. Chances are we’ll be able to answer all of them, so post them in comments section! This entry was posted on Sunday, July 12th, 2009 at 12:16 pm by Peter Freeman and is filed under News. You can follow any responses to this entry through the RSS 2.0 feed. You can leave a response, or trackback from your own site. Myself, Micah, and Nathan will be doing our best to do a daily blog post here on the site about what we did (with minor spoilers). We’ll do our best to include pictures as well. Micah and I will be twittering as much as we can, normally through our cellphones. We’ll also include the occasion picture on there. Our profiles are @peter_freeman and @brilliantfilms. So be sure to follow us! Cast photos. Naturally, we’ll be having new characters enter the show, and like we did for first season, we’ll be putting up promo pictures of them, as well as our returning characters with their “season two” look. And finally, the thing I’m most excited about is that we will be doing a bi-weekly podcast for the show. You’ll be able to find this on iTunes as well as links to it on the website. We’ll talk about what’s gone on the days before/on the podcast. We’ll also take questions from anyone who posts them on the thread (the first of which will be posted tomorrow in preparation for the first podcast on Monday). That’s it for now, but once filming is over you can expect more in the ways of clips, spoilers, and possibly even and event or two, so keep your eyes out and wish us luck! This entry was posted on Friday, July 10th, 2009 at 2:22 pm by Peter Freeman and is filed under News. You can follow any responses to this entry through the RSS 2.0 feed. You can leave a response, or trackback from your own site. Hey everyone, it’s been awhile since we’ve updated, but we have a good reason! We’ve been hard at work on prepping for season 2 and ironing out the last of the scripts needed. So, the purpose of this post is just remind everyone that if you have Twitter (and you should, who doesn’t anymore?) 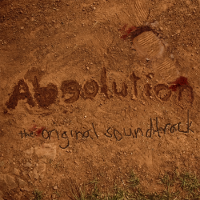 then you can follow Absolution’s updates (@Absolutiontv), myself (@Peter_Freeman) or Micah’s (@Brillianfilms). We’ll be no doubt giving mini updates about what’s going on during filming, as well as sharing the occasional set picture. This entry was posted on Monday, June 29th, 2009 at 5:45 pm by Peter Freeman and is filed under News. You can follow any responses to this entry through the RSS 2.0 feed. You can leave a response, or trackback from your own site. Hey guys, I just wanted to remind those who haven’t been able to view our videos on the site directly (due to memory on the PC) the episodes, promos, and BTS videos are on our youtube channel. This entry was posted on Sunday, April 12th, 2009 at 3:42 pm by Peter Freeman and is filed under News. You can follow any responses to this entry through the RSS 2.0 feed. You can leave a response, or trackback from your own site.